The Carnegie Corporation of New York was established by Andrew Carnegie in 1911 “to promote the advancement and diffusion of knowledge and understanding” and is one of the oldest, largest and most influential American grant-making foundations. In keeping with Carnegie’s mandate, its work incorporates an affirmation of its historic role as an education foundation. The mission of the California Community Colleges Board of Governors and the Chancellor’s Office is to empower the community colleges through leadership, advocacy and support. College Futures Foundation, previously the College Access Foundation of California, is a private foundation committed to increasing the number of low-income students who attend and complete college across the state. They believe improving college achievement is central to preserving California’s future, and the Foundation works to provide low-income and historically underrepresented student populations with the knowledge, resources, and tools they need to make that achievement possible. Their funding supports programs and organizations that offer college scholarships, financial aid advising, and specialized support services to these students. 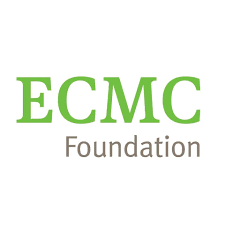 The ECMC Foundation is a national foundation working to improve postsecondary outcomes for students from underserved backgrounds. It is one of several affiliates under the ECMC Group enterprise that work to help students succeed through investments in two areas: College Success and Career Readiness; and uses a spectrum of funding structures, including strategic grantmaking and program-related investments, to fund both nonprofit and for-profit ventures. The Ford Foundation supports visionary leaders and organizations on the frontlines of social change worldwide. Its goals for more than half a century have been to strengthen democratic values, reduce poverty and injustice, promote international cooperation, and advance human achievement. It believes the best way to achieve these goals is to encourage initiatives by those living and working closest to where problems are located; to promote collaboration among the nonprofit, government and business sectors; and to ensure participation by men and women from diverse communities and all levels of society. The William and Flora Hewlett Foundation has been making grants since 1967 to solve social and environmental problems at home and around the world. The Foundation’s programs have ambitious goals that include: helping to reduce global poverty, limiting the risk of climate change, improving education for students in California and elsewhere, improving reproductive health and rights worldwide, supporting vibrant performing arts in our community, advancing the field of philanthropy, and supporting disadvantaged communities in the San Francisco Bay Area. James Irvine, a California agricultural pioneer, established the Foundation in 1937 to benefit the people of California. Since then, the Foundation has met the objectives of its founder by providing more than $1 billion in grants to over 3,000 nonprofit organizations across the state. The guiding principle in all its grantmaking is to expand opportunity. The Walter S. Johnson Foundation assists youth to become successful adults by promoting positive change to the policies and systems that serve them and supporting high impact and promising practices. The Lumina Foundation is an independent, private foundation committed to increasing the proportion of Americans with high-quality degrees, certificates and other credentials to 60 percent by 2025. Lumina’s outcomes-based approach focuses on helping to design and build an accessible, responsive and accountable higher education system while fostering a national sense of urgency for action. It is the nation’s largest private foundation focused solely on increasing Americans’ success in higher education. The National Science Foundation (NSF) is an independent federal agency created by Congress in 1950 “to promote the progress of science; to advance the national health, prosperity, and welfare; to secure the national defense…” With an annual budget of about $7.3 billion (FY 2015), we are the funding source for approximately 24 percent of all federally supported basic research conducted by America’s colleges and universities. In many fields such as mathematics, computer science and the social sciences, NSF is the major source of federal backing. The Nellie Mae Education Foundation’s mission is to stimulate transformative change of public education systems across New England by growing a greater variety of higher quality educational opportunities that enable all learners—especially and essentially underserved learners—to obtain the skills, knowledge and supports necessary to become civically engaged, economically self-sufficient life-long learners. It is New England’s largest public charity focused solely on education. The Spencer Foundation was established in 1962 by Lyle M. Spencer. The Foundation received its major endowment upon Spencer’s death in 1968 and began formal grant making in 1971. Since that time, the Foundation has made grants totaling approximately $250 million. The Foundation is intended, by Spencer’s direction, to investigate ways in which education, broadly conceived, can be improved around the world. From the first, the Foundation has been dedicated to the belief that research is necessary to the improvement in education. The Foundation is thus committed to supporting high-quality investigation of education through its research programs and to strengthening and renewing the educational research community through its fellowship and training programs and related activities. The Teagle Foundation works to support and strengthen liberal arts education, which it sees as fundamental to meaningful work, effective citizenship, and a fulfilling life. Its aim is to serve as a catalyst for the improvement of teaching and learning in the arts and sciences while addressing issues of financial sustainability and accountability in higher education. The Center for Urban Education (CUE) seeks to increase equity in higher education by partnering with individual institutions and state systems to engage in data analysis and inquiry activities about academic outcomes for students of color. Since its beginning in1999, CUE has worked with over eighty institutions in ten states. Over forty colleges, universities and state systems have also partnered with CUE to undertake the full Equity Scorecard™ Process. View of IHEP FactSheet about CUE.